When a person is sick, a cheerful mood can be hard to achieve. That’s why one of the best gifts that one can give a sick friend or loved one is the gift of flowers. 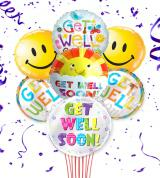 Get-well-soon wishes can be more than just words. 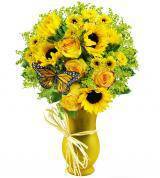 They can be vibrantly colored bouquets and arrangements in decorative or keepsake vases and more. Get-well arrangements are meant to bring a smile to the lips of just about anyone who is sick or recovering from illness. 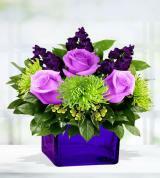 For a fantastic assortment of get-well flowers, you’ve come to the right place: Avas Flowers. 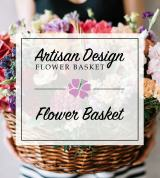 We are an online florist with an impressive selection of flowers that can be sent to sick loved ones, whether they are located in the same city or in a city on the other side of the U.S. When people are extremely ill and in the hospital, there may be some restrictions when it comes to sending flowers as a way to encourage a loved one to get well soon. Flowers, however, may not be accepted at certain hospitals or under certain circumstances. For that reason, it is important to verify that the hospital in question will accept your flower delivery. For the most part, many hospitals have no problems with patients receiving flowers; however, hospital policies for any given facility may restrict the delivery or presence of flowers depending on the patient’s specific illness. 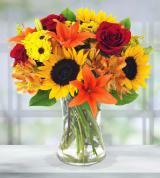 Get-well flowers are often also restricted when patients are in intensive care units or in other special care wards. It is also important to check if there are any specific types of flowers that are forbidden or unacceptable. If giving flowers to someone who has undergone surgery, consider having them delivered to their home upon discharge from the hospital. Flowers delivered to the home can help create a welcome and cheerful environment for continued recovery. 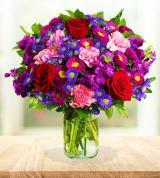 A person doesn’t need to be hospitalized or seriously ill in order to receive a beautiful bouquet of flowers. Someone who is simply feeling under the weather with a cold or the flu will be cheered when they receive a get-well-soon bouquet. 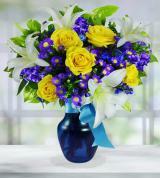 Our fresh flowers, when properly kept, will brighten up your loved one’s room with long-lasting beauty. If your sick friend isn’t someone who enjoys flowers, you’ll find that we have other options available here, too. 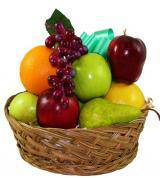 At any given time, you’ll find a selection of live plants and fruit and gourmet gift baskets to choose from. 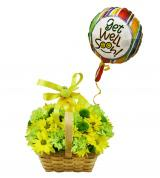 Whenever you want to extend wishes for someone to get well soon, flowers from Avas Flowers are the way to go. We are a family-owned and -operated company, and our history as a business extends more than 30 years. 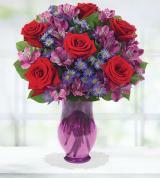 When you buy flowers from us, you are only getting premium flowers that you can send anywhere nationwide. 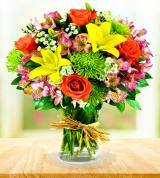 We offer same-day delivery on eligible flowers and also a satisfaction commitment to our customers as well.